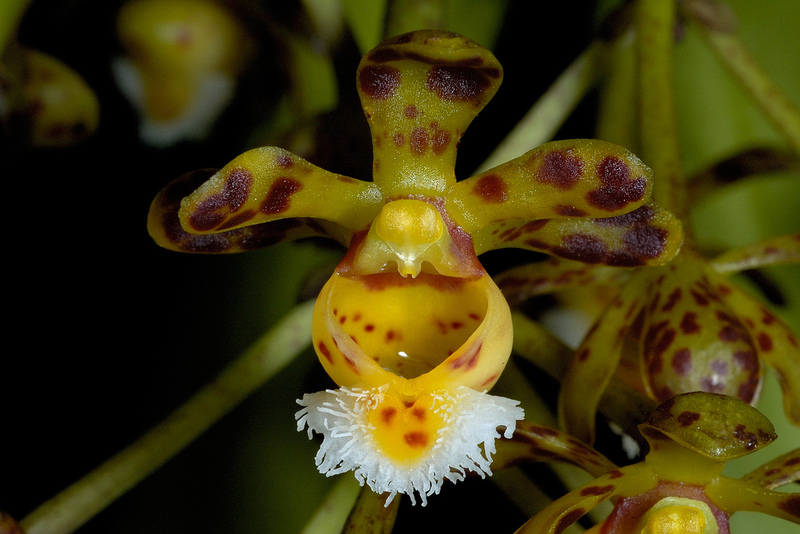 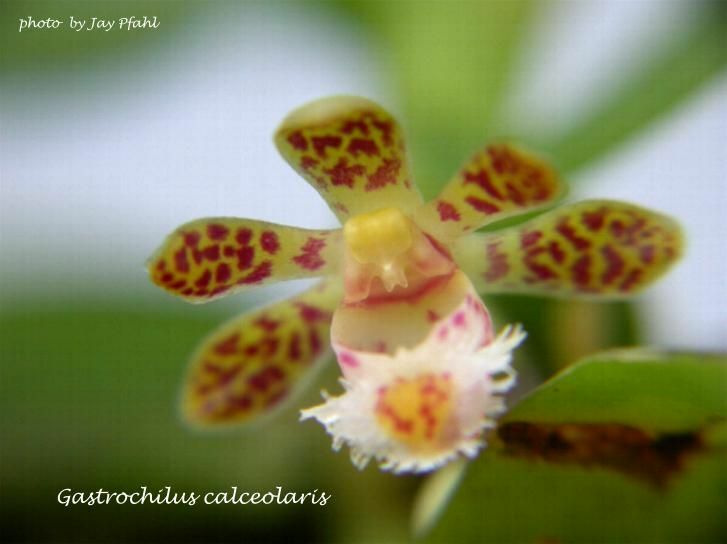 A medium sized, cold to hot growing epiphytic orchid from the eastern Himalayas, Assam India, Nepal, Myanmar, Thailand, Yunnan and Hainan China, Vietnam, Malaysia, Borneo, Sumatra and the Philippines in evergreen lowland forests or primary montane forests at elevations of 200 to 2300 meters. 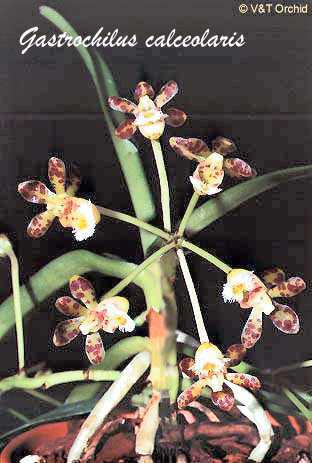 The flowers are translucent cream marked with dark brown spots. 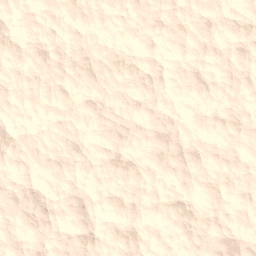 The lip is white with a bright yellow central patch and is fringed. 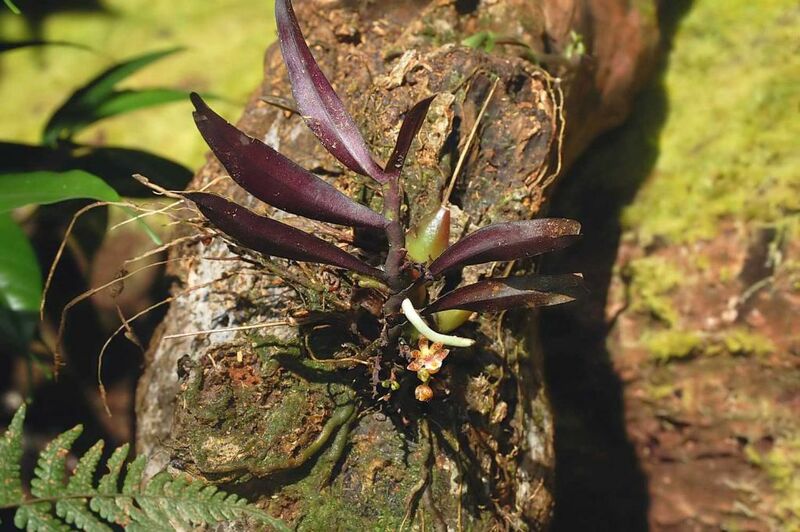 The orchid flowers in the fall and winter on a very short to 2" [5 cm] long, corymbose, pendant, purple spotted, stout, few flowered inflorescence with small bracts that has slightly fragrant, waxy, longlasting, pubescent flowers and is a monopodial epiphyte with a very short stem carrying strongly falcate, linear-lanceolate, acutely, unequally bilobed apically leaves .